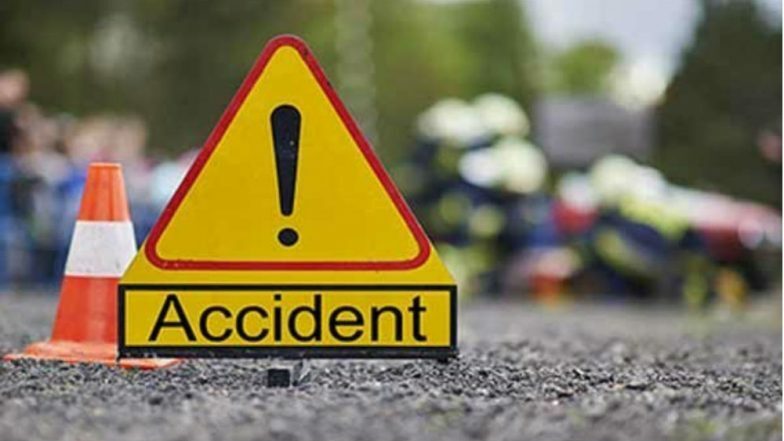 Agra, April 11: In a tragic incident, eight people have lost their life in a deadly road accident on Agra-Lucknow Expressway during the early hours on Friday. According to reports, the incident took place after an Ertiga car rammed into a truck which was parked at the side of the road in Fatehabad locality. Reports inform that out of the 8 dead, 6 were killed on the spot while 2 people, who were immediately rushed to the hospital, later succumbed to their injuries. Earlier this month, a similar road accident was reported from the Agra-Lucknow Expressway. According to reports, two people were killed in the accident after a truck, carrying rice sacks, caught fire on the Expressway. Reports inform that the truck was engulfed in fire after its diesel tank burst. The deceased were identified as driver Sukhram and his cleaner Irfan. Lucknow-Agra Expressway: Fresh Toll Imposed on Commuters, But Tea Will be Offered as Goodwill. On March 25, four people died after an AC bus caught fire at the Agra-Lucknow expressway. Reports inform that the ill-fated bus was travelling from Delhi's Anand Vihar to Lucknow when the incident took place. Om Prakash, assistant superintendent of police (ASP), Mainpuri was quoted by PTI saying that a bus, ferrying 4 passengers and 3 staff members, caught fire at Firozabad- Mainpuri border near the 76th milestone. Out of the seven passengers, two passengers and one staff was saved while four were killed.